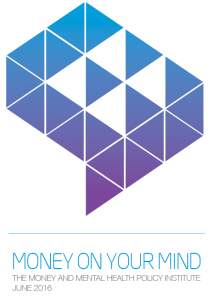 Today sees the launch of the Money and Mental Health Policy Institute’s new report – Money on your Mind – revealing the relationship between financial difficulties and mental health problems. Money and Mental Health has had a busy first few months since it was launched by MoneySavingExpert.com’s Martin Lewis, and its director Polly Mackenzie and her team have put together an excellent first report that throws a welcome spotlight on this crucial issue. Nearly five and half thousand people took part in their survey, which we were pleased to help spread the word about earlier in the year. Some of the findings released today are particularly stark. Nearly three quarters of those surveyed (72%) said their mental health problems have made their financial situation worse (and not just due to having less money to spend as a result). More than nine in 10 said they spend more when they are unwell, and that they find it harder to make financial decisions. Most troublingly, 59 percent said they have taken out a loan they wouldn’t otherwise have taken.  On the frontline of debt advice, we know that debt and mental health problems are often inextricably linked. At the Trust this is an area we have long been involved in, including through our training for creditors on mental health and other areas of vulnerability and 12-step guidance for firms. From our own surveys with National Debtline in 2015 we know that 11% of clients got into debt as a result of their mental health problems, and 82% of clients who took steps to deal with their debts said that it had a positive effect on their emotional or mental wellbeing. This month we have also launched a guide for advice agencies, written by Chris Fitch and Colin Trend and backed by a wide range of advice organisations, on how they can ensure the best outcomes for customers in vulnerable situations. You can read more about the steps that advice agencies should consider in Colin’s recent blog post. Money and Mental Health’s new research is certainly timely. The issue of vulnerability has never been higher on the agenda, in the wake of the FCA’s Occasional Paper and the work of the British Bankers’ Association’s Vulnerability Taskforce, which I was pleased to chair. What this research gives us will prove invaluable as organisations respond to the challenges laid out in the Taskforce’s final report. Creditors of all descriptions – across all sectors, including public sector organisations – need to continue to shape and improve the help available for people in financial difficulty, particularly in situations where mental health is a factor. On a wider note, I would like to congratulation Martin, Polly and the team at Money and Mental Health for everything they have done in launching this initiative. The new institute is a welcome addition to the sector, and here at the Trust we are looking forward to working with them in the months and years ahead. You can find out more about Money and Mental Health’s research here and read the full report here.